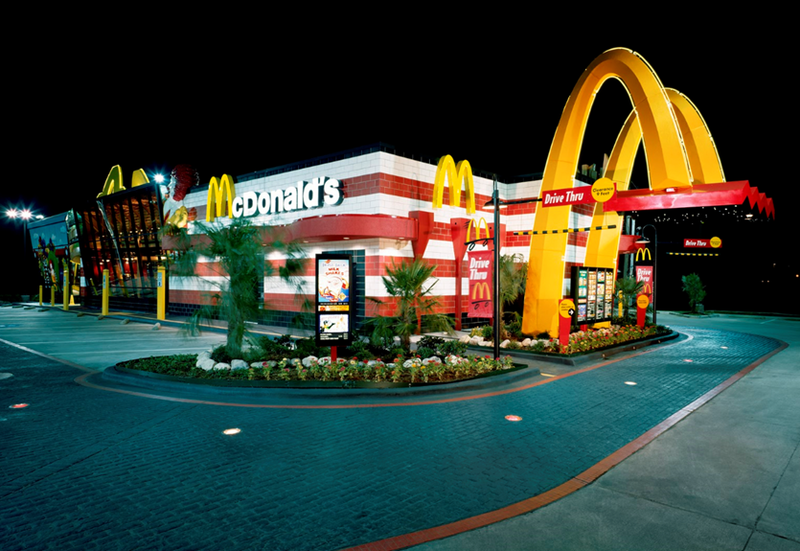 Ted Goodman wrote about the military’s role in the creation of McDonald’s drive thrus. In 1975 the McDonald’s brand was running strong and it was a well-known and popular fast food restaurant. At the time a military base in Arizona had a rule against soldiers wearing their military fatigues in local establishments. McDonald’s wanted their business though, and to get around the military’s rules, they created an outdoor window that soldiers could order from, without having to actually enter the restaurant. Today this is recognized as the first ever McDonald’s drive thru. Sadly, while McDonald’s has a plaque memorializing it, the drive thru itself no longer exists – it has been turned into a parking lot.